It can be surprisingly difficult to find a direct answer to what seems like such a simple question. Today, we’re going to cut through all the noise and answer that question for you. There is a common misconception that all stem cells are created equal. While they all become other types of cells and have the potential to regenerate and renew your cells, they also have some very important differences. For instance, adipose stem cells are harvested in a procedure that takes some fatty tissue from your abdomen, while bone marrow stem cells are harvested from the inside of your bones. That’s a difference I’d want to know about up front! However, both have their uses and each could be the right types of stem cells for specific issues, so make sure you discuss a customized treatment plan with your doctor. A good stem cell therapy clinic will help you understand which types of stem cells are best for your situation, and you’ll reap the benefits of their expert knowledge. 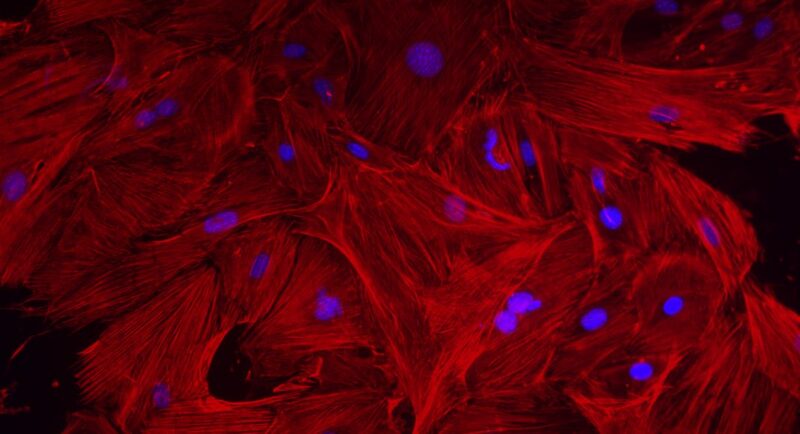 Closeup of iPSC stem cells. A glance into the current state of research into iPSCs. While progress is being made, it will be some time before they are ready for clinical use. 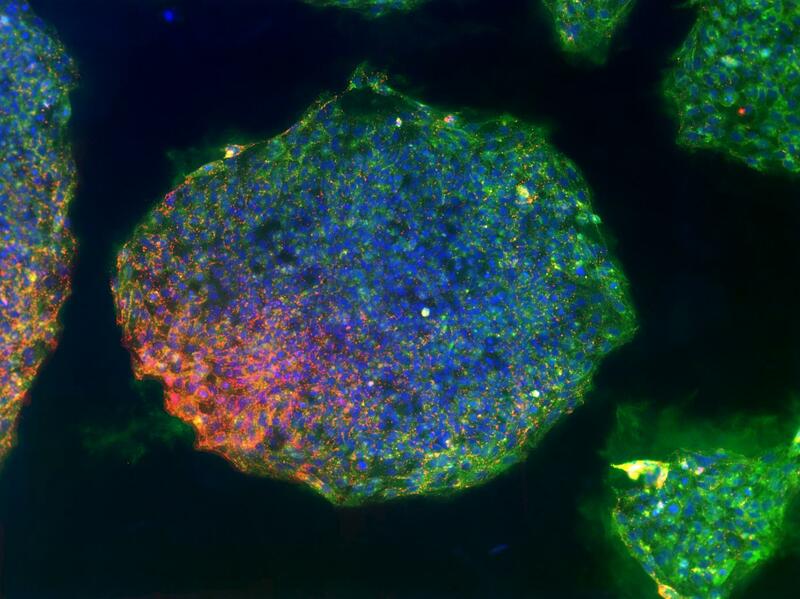 Pancreatic cells formed from pluripotent cells in a stem cell scaffold. 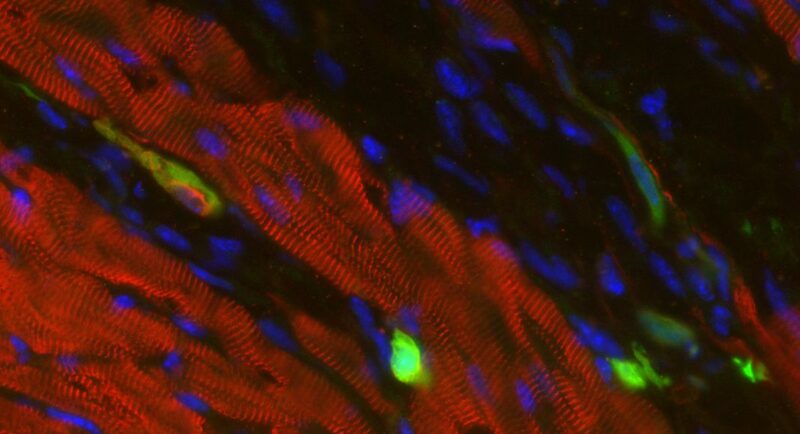 This is a mouse heart with stem cells (blue) in it. 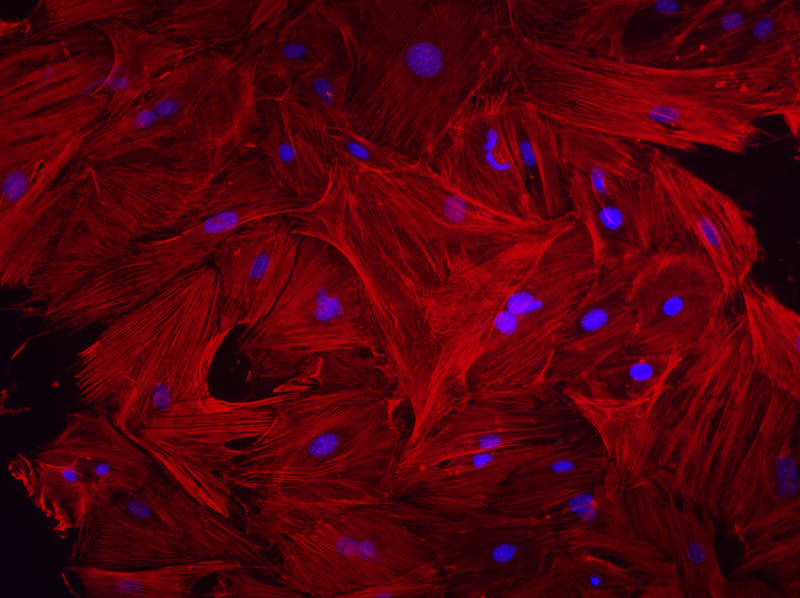 Researchers are exploring the potential of stem cells to assist in recovery from heart attacks. 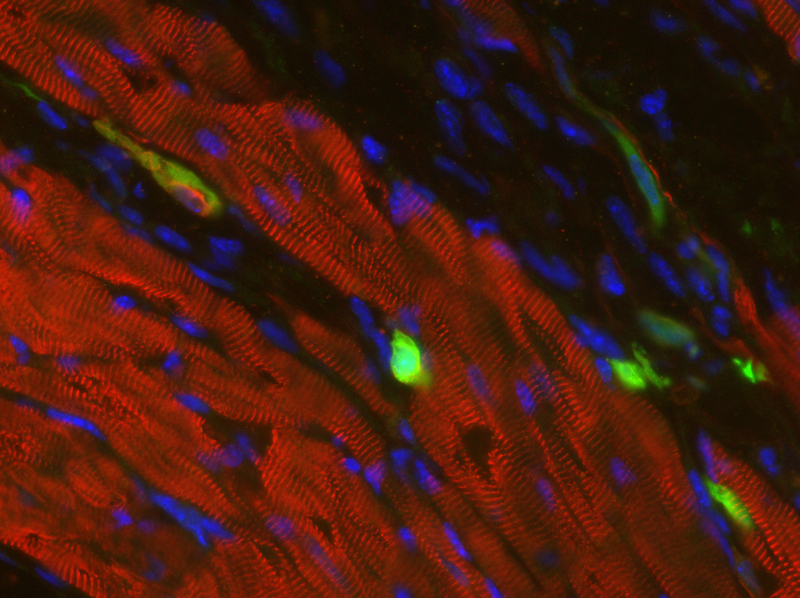 Skin cells (green) are being reprogrammed into heart cells as researchers continue to explore cutting-edge ways to save our lives. 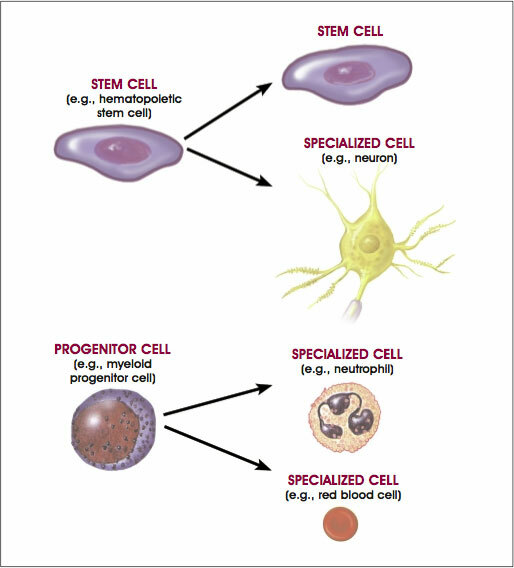 A look at the distinguishing features of progenitor cells compared to stem cells. Human embryonic stem cells are controversial in large part because they must be harvested from recently fertilized human eggs. 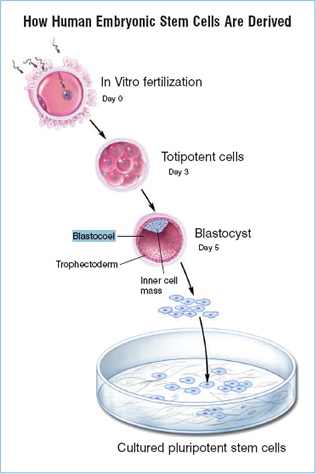 Since human embryonic stem cells are pluripotent, they could become any kind of cell. However, because of ethical and health concerns we are looking forward to future developments with iPSCs that could allow them to provide similar function to embryonic stem cells. While there are many different types of stem cells, we’ll cover those most commonly used in clinical settings. The categories below are based on the differentiation potential of the stem cells, which is the ability of a stem cell to become other types of cells. Multipotent stem cells can become multiple types of cells within your body. 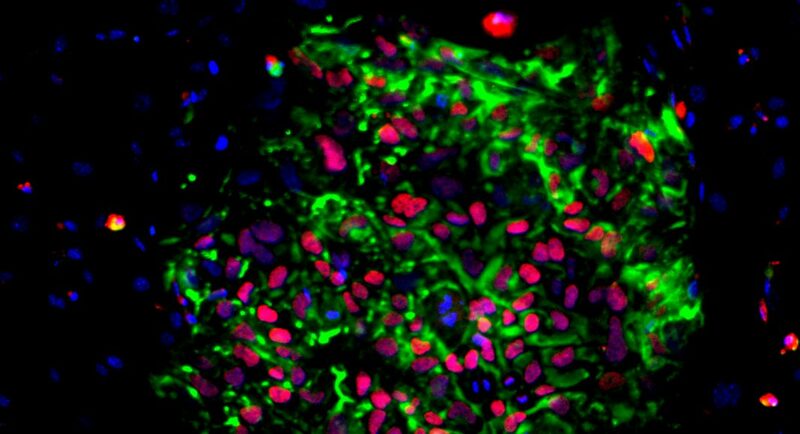 Until recently, researchers believed that multipotent stem cells could only become similar types of cells to the type of tissue they were harvested from. However, in light of recent research, clinical trials are currently underway to use multipotent stem cells to repair other types of tissue. For instance, regenerating heart and nerve cells. Adult stem cells are the cause of a great deal of excitement in the scientific community and the focus of a great deal of stem cell research. While researchers once believed them to be more limited, this new research has revealed more uses for adult stem cells than was previously believed possible. Adult stem cells have a history of research spanning more than 60 years, making them one of the best understood sources for stem cell therapy procedures. What they are: Undifferentiated, multipotent cells. These are stem cells that are not set on which kind of cell they’ll become just yet, so they could become many different types of cells. For instance, glial cells or neurons. Where they’re from: Juveniles and adults. What they’re used for: Replenishing dying cells and regenerating damaged tissue. 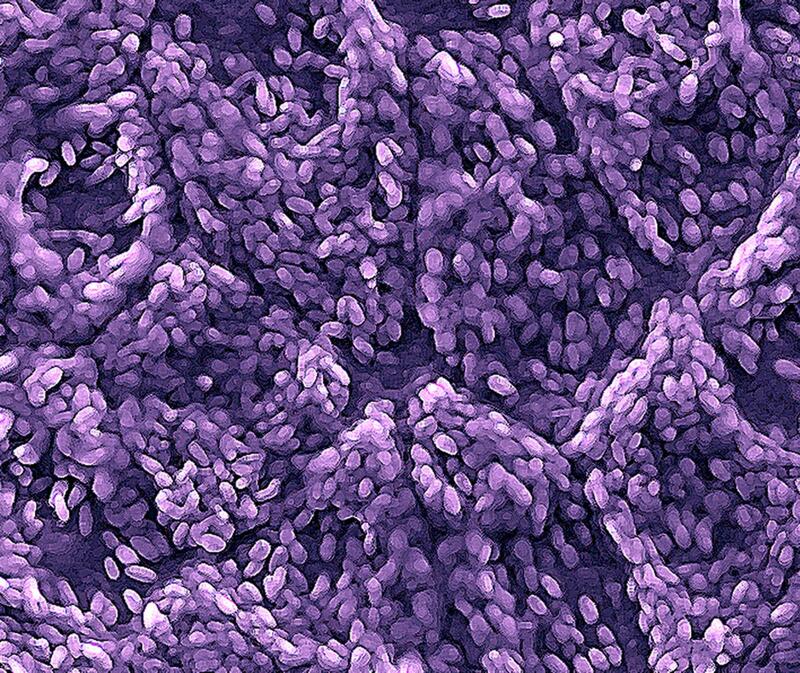 How they work: Capable of infinitely self-dividing, even a few cells from one organ can potentially grow into an entire organ. Mesenchymal stem cells are a type of adult stem cell that comes from various tissues. The unique aspect of mesenchymal stem cells is that they are non-blood adult stem cells, but they can still form into many different kinds of cells. These may offer the widest range of ethical uses to the world and have considerable research behind them. In the hands of trained scientists and clinicians they can be an incredible tool for healing and regeneration. Since they come from all sorts of tissues and can produce most of the types of cells in the human body, they are an ideal option for stem cell therapy. They may be used in the treatment of an array of diseases, disorders, conditions, and injuries. What they are: A type of adult stem cell, these are multipotent and can become many types of different cell. Where they’re from: Adipose (fat) tissue, Wharton’s jelly and cord blood, amniotic fluid, molar cells, and bone marrow. What they’re used for: Potentially treating autoimmune diseases, other diseases and conditions, and use in other clinical applications. 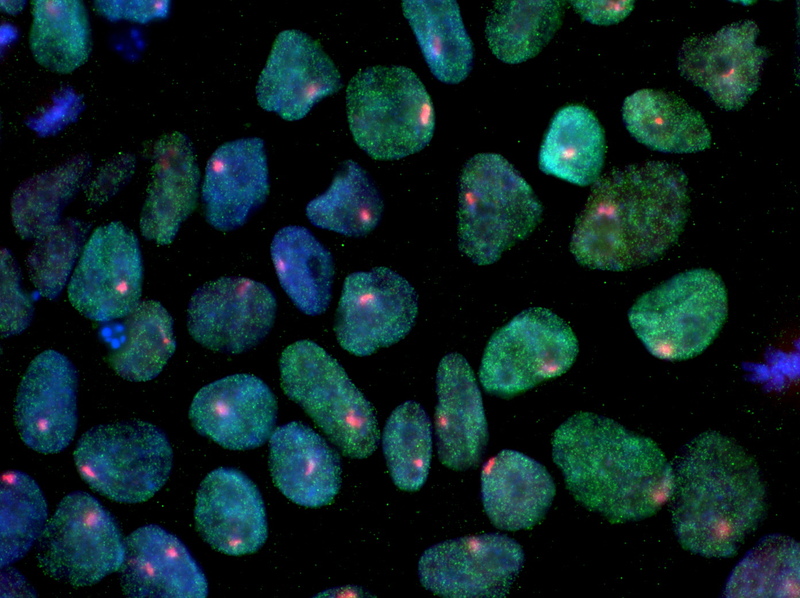 How they work: Like other adult stem cells, they can self-divide to replicate to higher numbers and, when re-introduced to the body, can become many other types of cells. Since adipose stem cells are a type of mesenchymal stem cell, they carry the associated benefits. However, due to the ease of acquisition (some fat from the patient’s abdomen), the procedure allows patients to walk out of the clinic within a few hours. With no hospital stay or bed rest required, there is minimal interruption to patient’s lives. This makes adipose stem cells an especially appealing option to athletes, soldiers, and working people with injuries or conditions that are affecting their ability to perform their duties. That said, the benefits have led our clinic to primarily use these cells to treat most patients, but we use other cell types as part of our custom treatment plan whenever it is more beneficial. Adipose stem cells can be combined with PRP to potentially enhance their benefits. What they are: A type of mesenchymal stem cell, these are more flexible multipotent stem cells with the capacity for self-renewal. These are the primary type of stem cell that we use in our clinic. Where they’re from: Adipose (fat) tissue, which allows you to walk out of the clinic the same day you come in with the procedure already over. Patients typically return to work on the following day. What they’re used for: A range of applications from the regeneration of tissue in traumatic injuries to many conditions, including neurodegenerative and endocrine metabolic disorders and post-surgical reconstructions. 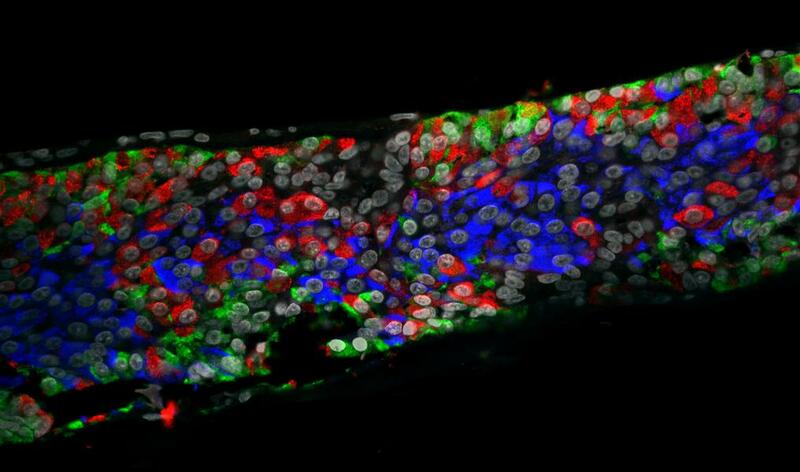 How they work: Since these are mesenchymal stem cells, they can self-divide to replicate to higher numbers. When re-introduced to the body, can become many other types of cells. Cord blood stem cells are most often used to treat blood cancers and disorders affecting the hematopoietic (blood forming) and immune system. Since cord blood stem cells can form into blood cells, they may be effective in the treatment of leukemias, lymphomas, sickle cell disease, Wiskott-Aldrich syndrome, and more. We use these cells in our clinic when patients need the specialized treatment that cord blood cells are best suited to. Contact us with any questions. What they are: A type of multipotent stem cell, these are best used for targeted, specialized treatments when necessary. Where they’re from: Cord blood stem cells are recovered postnatally from the umbilical cord and are a readily available and ethically viable source of stem cells that can save lives. What they’re used for: Treating certain conditions and cancers that affect the blood and immune systems, such as leukemias, lymphomas, sickle cell disease, Wiskott-Aldrich syndrome, and more. 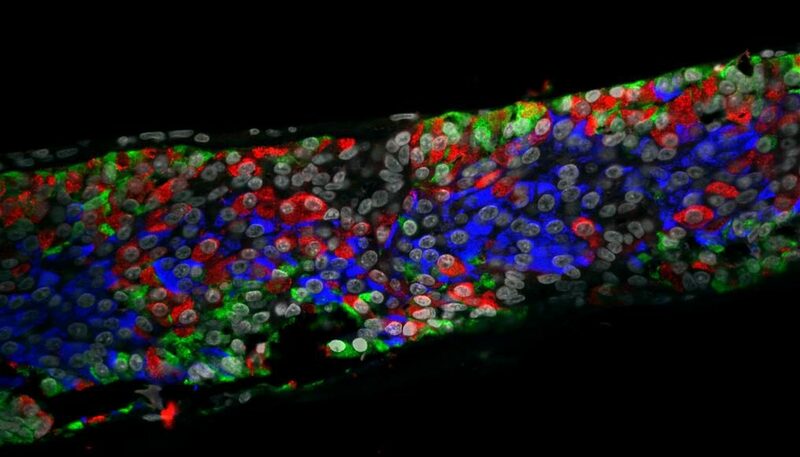 How they work: Since these are mesenchymal stem cells, they can self-divide to replicate to higher numbers. They contain the blood forming stem cells that make them effective at treating blood conditions, even allowing them to potentially treat cancers of the blood. 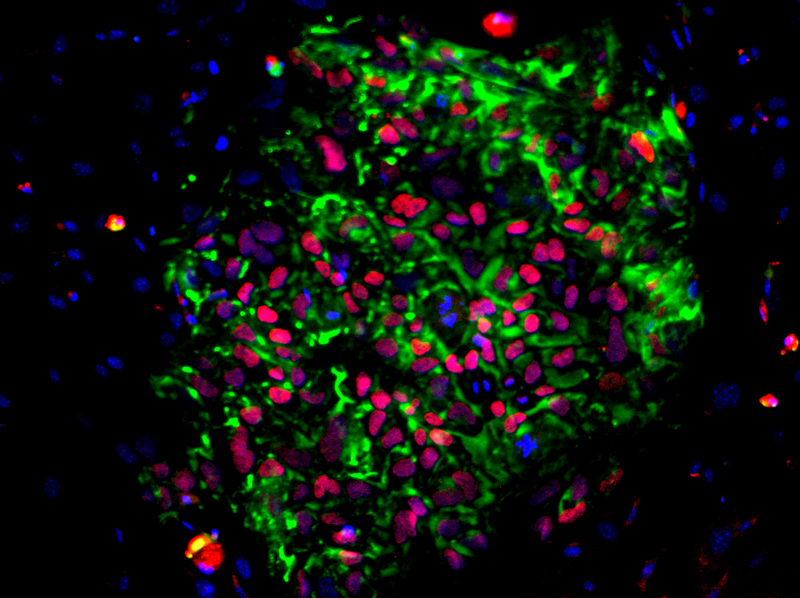 Pluripotent stem cells are incredibly powerful, but come with their own concerns. 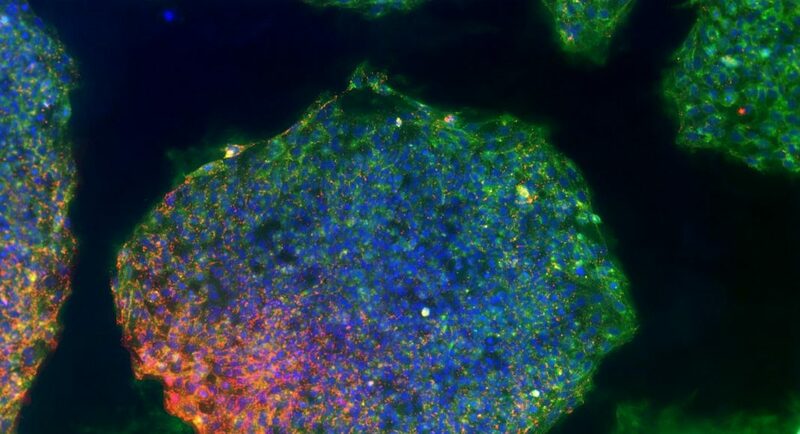 These types of stem cells can become every type of cell that makes up the human body. Because of this, they are closely watched by the medical community. However, they carry complications like limited availability, ethical controversy, and medical concerns. 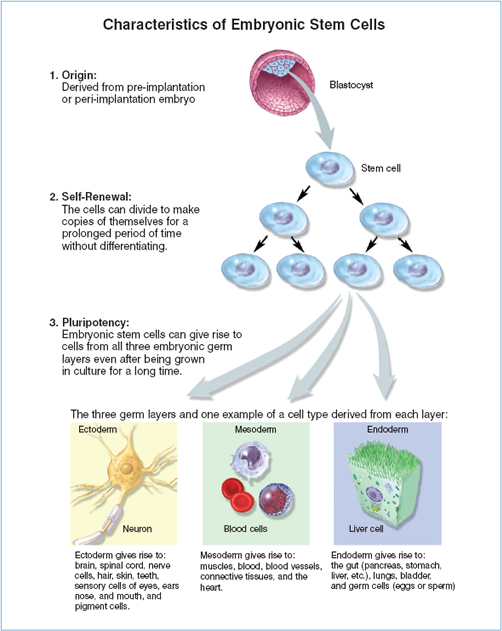 Since they are pluripotent stem cells, embryonic stem cells are capable of becoming any cell that makes up your body. However, the incredible benefits they could offer may also carry potentially dangerous risks. In addition to ethical concerns, embryonic stem cells are believed to have a risk of being rejected by your immune system. 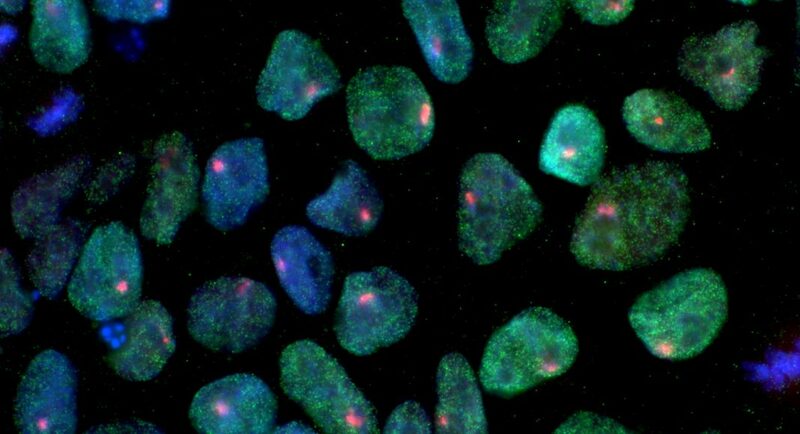 More than this, there have been findings of increased tumor formation linked to embryonic stem cells. Since they carry all of these issues and are not your own cells, we do not use embryonic stem cells in our clinic. It was 2006 at Kyoto University in Japan, and researchers were on the verge of a breakthrough. Their discovery: by introducing certain embryonic genes into a somatic cell, the cell can be can give rise to a new type of cell similar to an embryonic stem cell. The publication of this new methodology took the scientific world by storm. 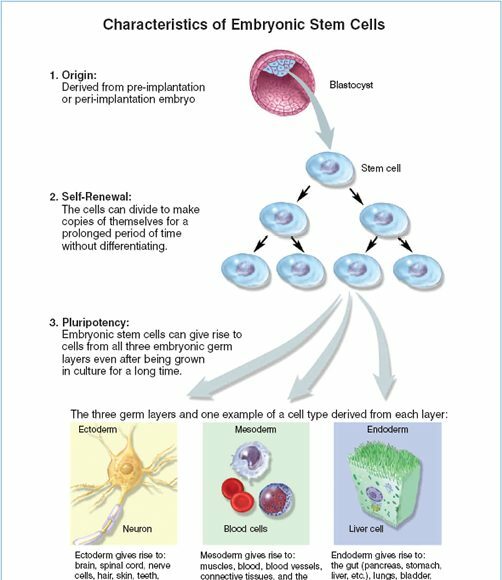 Today, these are called induced pluripotent stem cells, because the modified cell is capable of potentially becoming any cell that makes up the human body. 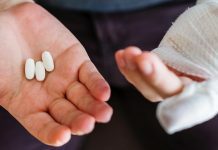 Because they are in their infancy, there are numerous challenges and much research is still needed to circumvent their potential risks and increase their efficacy. Since adult stem cells have about five decades of additional research behind them and they’ve only just recently become widely used in treatments, it may be sometime before we see iPSCs reach their full potential. Which types of stem cells are the best for stem cell therapy? The answer to that question will be unique for every individual, because there is a different best fit for every situation. If you’re wondering which types of stem cells would be best for your treatment, contact us for a free consultation and we’ll help you make the right choice. 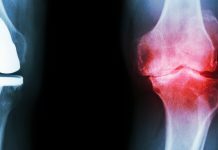 What is getting a regenerative medicine procedure like? Getting a regenerative medicine procedure done at Dynamic Stem Cell Therapy is quick and effortless. It all starts with a conversation to help us better understand your needs and offer a potential solution. If a procedure seems like the best option, we’ll help you schedule one and then you can relax while we look forward to your visit. Upon your arrival, we’ll talk and get you prepped for your procedure. We may need to collect some blood and/or fatty tissue depending on your procedure. We may narrow down the selection of cells and grow their number prior to returning them to you with a simple injection and some instructions. The entire process is over in a few hours and most patients return to work the next day, though someone should drive you home after your procedure. We have all sorts of patient testimonials, including videos, to help you better understand the potential of regenerative medicine. What is Dynamic Stem Cell Therapy like? 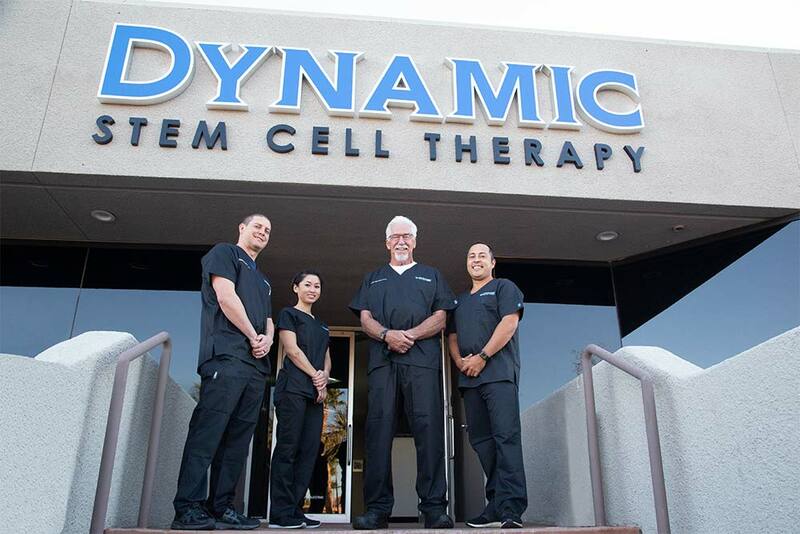 The team at Dynamic Stem Cell Therapy, a regenerative medicine clinic proudly headquartered in Las Vegas, Nevada. Dynamic Stem Cell Therapy employs an incredible staff and a compassionate, world-class doctor that can help you find the right path for your personalized treatment. Our experienced Las Vegas regenerative medicine clinic offers regenerative medicine procedures including PRP and cell-based therapies for many injuries or conditions. We even offer regenerative medicine financing for all of our procedures. As with any treatment option, it is important to work with a doctor that develops a customized treatment plan for your unique circumstances. With an incredible regenerative medicine doctor and a customized treatment plan, we may be able to get you back to a fuller, more vibrant life. Since you want to hear good things from other patients at the clinic you choose, be sure to check out our patient testimonials. How do I get started with regenerative medicine? 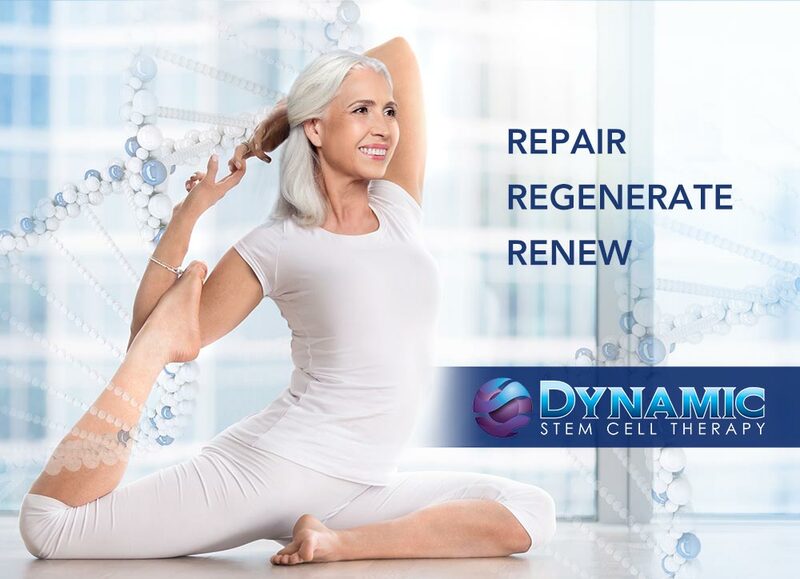 The team at Las Vegas based Dynamic Stem Cell Therapy offers cell therapy that could regenerate your body, repair your injuries, and help you recover from certain conditions. At Dynamic Stem Cell Therapy in Las Vegas, Nevada, our mission is to ensure you receive the care that you need in a safe and controlled way. While the world of regenerative medicine might seem overwhelming, it is much simpler if you start with an experienced clinic that follows high quality standards and has safe practices. Contact us today to book a free consultation and we’ll help you discover if regenerative medicine could be the right choice for you. Get in touch with us and you’ll enjoy a free consultation and expert advice throughout your journey as our patient. We’ll be your partner for any questions about regenerative medicine including PRP, stem cells, or stem cell therapy. For more information about the regenerative medicine procedures at our clinic, please check our FAQ here. 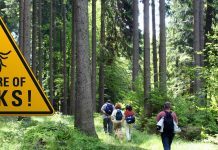 Previous articleTreating Paresthesia | How do I stop numbness, tingling, “pins and needles”, or burning? Next articleWhat is Regenerative Medicine?